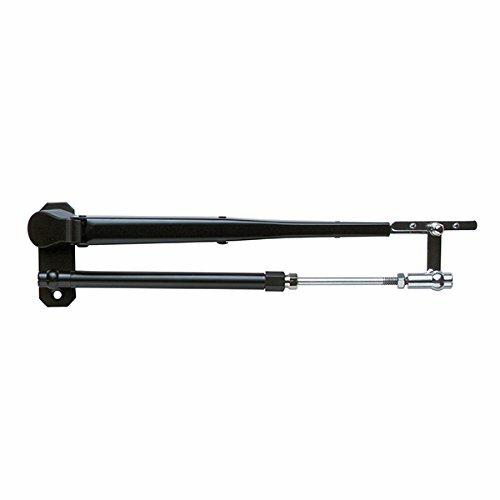 AMRA-33032A * AFI Deluxe Pantographic Wiper Arm - 12"-17"
AFI Deluxe Pantographic Wiper Arms are ideal for use with standard and heavy duty wiper motors. This Pantographic Wiper Arm has a complete stainless steel construction, and features an articulating/bend-back feature. The motor shaft mounting has additional set screw clamping. This is a dry wiper arm. AFI Deluxe Pantographic Wiper Arm AFI Deluxe Pantographic Wiper Arms are ideal for use with standard and heavy duty wiper motors. This Pantographic Wiper Arm has a complete stainless steel construction, and features an articulating/bend-back feature. The motor shaft mounting has additional set screw clamping. This is a dry wiper arm. Features: For use with 2.5, 1.5 and MRV motors Stainless Steel Articulating/Bend-back feature Lengths Available (Adjustable): 12"-17"